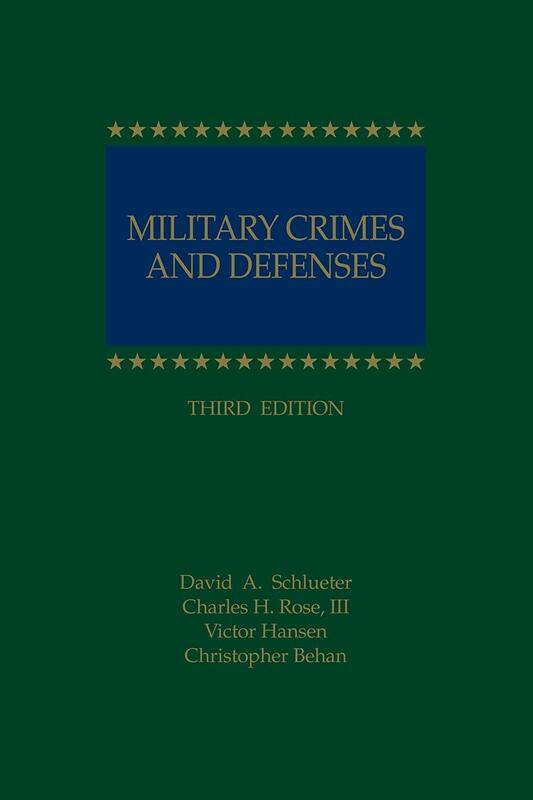 This handy one-volume resource offers an in-depth look at the substantive aspects of military justice and is designed to help both the experienced practitioner and the novice find his or her way through the punitive articles of the Uniform Code of Military Justice. It covers the myriad aspects of writing the charges and specifications, analyzing possible defenses, and possible instructions to the court members. Each punitive article is presented separately, followed by a detailed analysis and discussion. Coverage for each article focuses first on the official text of the article, then provides a discussion of the offense, including its history, what the prosecution must prove, applicable case law, and a discussion about possible defenses. 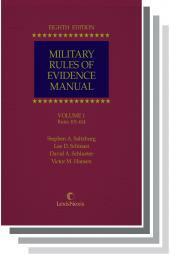 For each article, the maximum punishment, possible lesser-included offenses, sample specifications, and sample instructions from the Military Judges Benchbook are included. 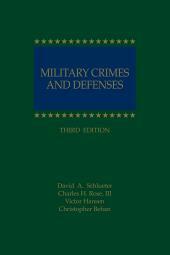 This guide also includes background on the military justice system, coverage of court-martial jurisdiction, and a chapter on defenses, for an all-in-one source on substantive military law. Assistant Professor Christopher W. Behan joined the faculty at Southern Illinois University School of Law in 2006 after serving for more than ten years on active duty as a judge advocate in the United States Army. 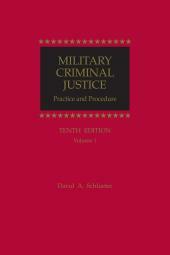 During his time as a judge advocate, he gained extensive experience with the military justice system, serving as a military prosecutor, a defense attorney, a part-time military magistrate, an Article 32 investigating officer, and a legal advisor to Army commanders on military justice matters. His final assignment in the Army was as a criminal law professor at the Judge Advocate General¿s School in Charlottesville, Virginia, where he taught evidence, military criminal procedure, and trial advocacy. He received his L.L.M. from the Judge Advocate General¿s School and his J.D. from Brigham Young University¿s J. Reuben Clark Law School. He currently teaches criminal law, white collar crime, military law, and trial advocacy at Southern Illinois University School of Law. Assistant Professor Charles H. Rose III is the Director of Stetson¿s Center for Excellence in Advocacy. He joined the Stetson faculty in 2004 upon his retirement from active duty service in the United States Army. While on active duty he served as a linguist, intelligence analyst, intelligence officer, and judge advocate general. As a judge advocate Professor Rose prosecuted and defended criminal cases for over 5 years, also serving as a criminal law professor at the Judge Advocate General¿s School U.S. Army in Charlottesville, Virginia. Professor Rose received his L.L.M. from the Judge Advocate General¿s School, United States Army and his J.D. from the University of Notre Dame Law School. He currently teaches evidence, trial advocacy, professional responsibility and federal criminal procedure. He is a noted legal analyst, appearing on local and national news media, to include Court TV, NPR, and the O¿Reilly factor. He also provides legal commentary both nationally and internationally on issues as diverse as the legal impact of the war on terror, criminal justice in America and the skill, science and art of advocacy. His primary areas of scholarly interest are focused on the effective development of advocacy persuasion techniques during pre-trial, trial and appellate presentations, the federal rules of evidence, and the intersection of criminal law and the law of war as it relates to the war on terror. Victor Hansen serves as an Associate Professor of Law at the New England School of Law, where he teaches Criminal Law, Criminal Procedure, Evidence, and Professional Responsibility. Before joining the New England faculty in 2005, Professor Hansen finished 20 years of service in the Army as a lieutenant colonel in the United States Army JAG Corps.  He previously served as a regional defense counsel for the United States Army Trial Defense Service. He also worked as a military prosecutor and supervising prosecutor and has been involved in military capital litigation as a prosecutor and as a defense attorney. Professor Hansen was an associate professor of law at The Judge Advocate General's School in Charlottesville, Virginia where he taught evidence, advocacy, and military law. Professor Hansen is a frequent commentator in local and national media on legal subjects related to the war on terror, detention and interrogation operations, and military tribunals. Professor Hansen is the author of several articles on criminal law, expert evidence, military law and law of war issues. His areas of scholarly interest include constitutional law related to criminal procedure, military criminal law, the law of war, and death penalty issues. 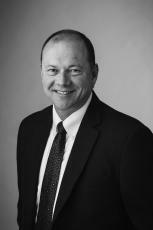 Professor Hansen earned his Juris Doctorate from Lewis & Clark School of Law and an L.L.M. from the United States Army Judge Advocate General's School.